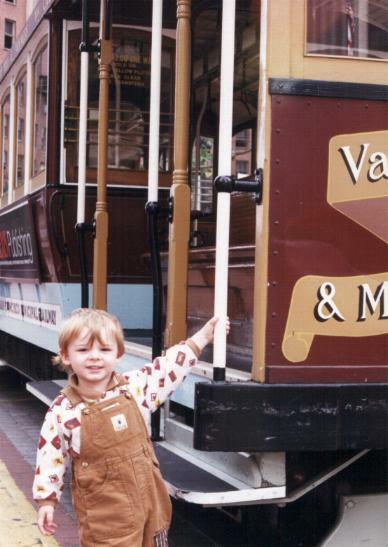 Kieran's Summer Vacation... from the summer of 1999! Hi, everybody! I had a great summer vacation! Let me tell you all about it... my father and grandpa took some pictures of it, too, so I can show you. I went to New Jersey, and California, and Oregon, and I even had lots of fun near my house! When I was visiting with Grandma and Grandpa in New Jersey, they took me to Woodbridge Center. 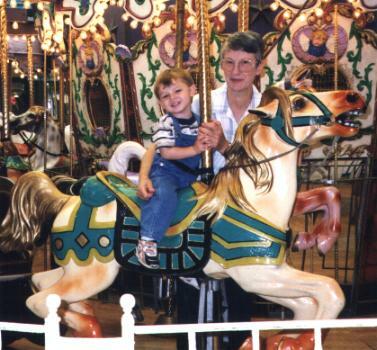 Grandma and I went on the carousel, and Grandpa took the picture! I like riding on the carousels! Some had horses, cats, lions, giraffes and even pigs! ... the Cable Car! It was early in the morning. Daddy said we beat all the tourists so we got to ride in the car with almost nobody else on it. We went up, up, up California Street! And then we went down again, and we took the bus to Fisherman's Wharf. And here I am. 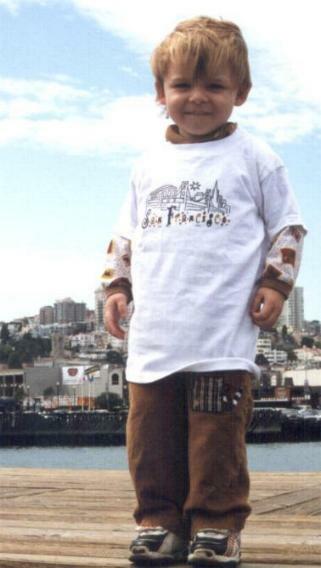 Daddy bought me a shirt along the way so I could show everybody where I went. I got to say "cheese" a lot! After Fisherman's Wharf, we saw the sea lions and then we walked to the streetcar, and then we took the CalTrain back to San Jose. What a fun trip! Mommy, Daddy and I went to Oregon too. 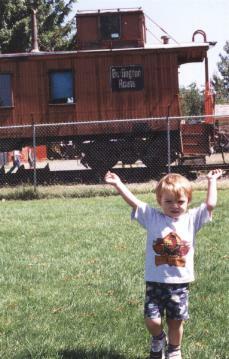 This is me in front of a Burlington caboose in "Railroad Park" in Medford. We went to a lot of other places too, but Daddy said there aren't that many pictures. He said that he needed to remember to put film in the camera before taking pictures... and then he said "grumble". And this is back home, at Strong Museum in Rochester. 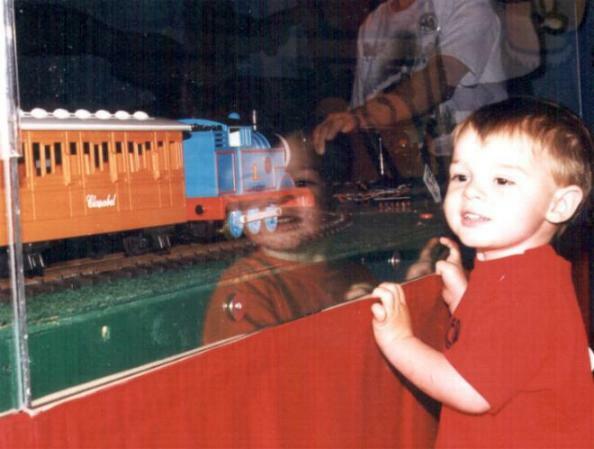 They had a special train set up one day and we all went to see it. 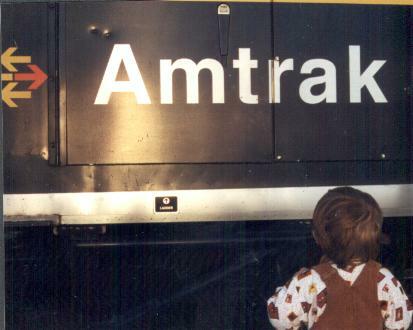 Do you know what train that is? Daddy says this is his favorite picture of the whole summer. I hope you like it too.